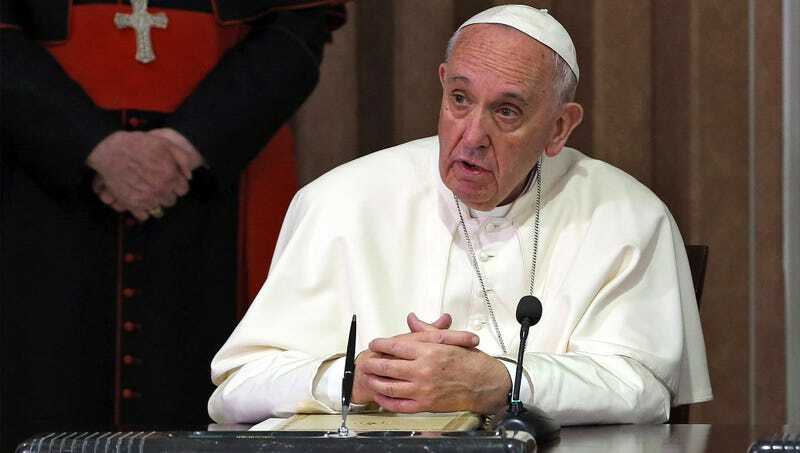 VATICAN CITY—Startled by how much His appearance had deteriorated since they’d last met, Pope Francis admitted to reporters on Thursday that God was really starting to look old. “Man, I guess I hadn’t noticed it until now, but these last few years have really taken a toll,” said the pontiff, adding that perhaps the Lord had just reached that point in eternal existence where one starts to visibly age more quickly. “It made me kind of sad to see Him like that, to be honest. He used to be this almighty supreme being, full of vigor and omniscience, but now He just looks frail.” At press time, the pope had resolved to make the most of the time he had left with God before He passed on.